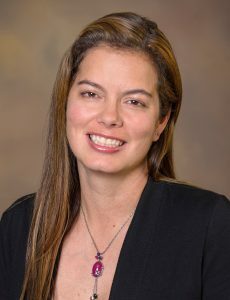 Paloma I. Beamer, Ph.D., is an associate professor in the College of Public Health at the University of Arizona. She is an environmental engineer by training and earned her BS from the University of California Berkeley and her MS and PhD from Stanford University. Her research focuses on understanding how individuals are exposed to environmental contaminants and the health risks of these exposures with a special focus on vulnerable populations, including children, low-wage immigrant workers, Native Americans and those in the US-Mexico Border Region. The ultimate goal of her work is to develop more effective interventions and policies for prevention of avoidable cases of certain diseases such as asthma.